As NetApp’s only Worldwide Authorised Learning Partner, Fast Lane deliver certified NetApp training courses to business professionals across the globe. Implementing a step-by-step learning programme through specially trained NetApp certified instructors, we can help you deploy and exploit NetApp technologies to meet the demands of your business. Fast Lane deliver a broad range of NetApp authorised training courses; giving individuals expert knowledge of NetApp’s data management and storage technologies – including Clustered Data ONTAP, E-Series, SAN, OnCommand and Data Protection. Our NetApp certification programme is proof you have the skills required to deploy NetApp technologies to best meet the needs of your business. At Fast Lane, we offer a number of NetApp training courses in the following areas: Storage Systems, Data Protection, Management, Applications, Virtualization and FlexPod. Our specially trained tutors can also deliver exclusive, multi-vendor content developed by Fast Lane – giving customers greater flexibility depending on their individual learning requirements. 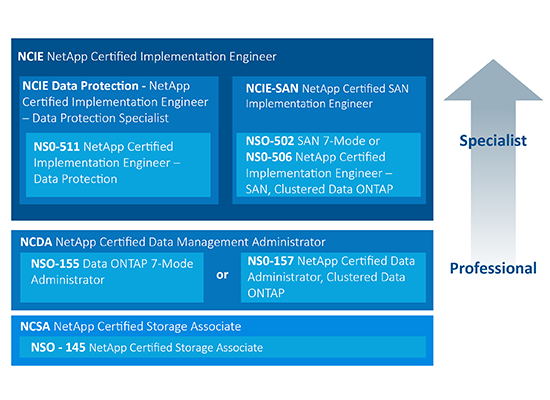 NetApp authorised training courses are available with a flexible public and private schedule. Virtual attendance, as well as one-on-one courses, is also available for those unable to attend their local Fast Lane study centre.